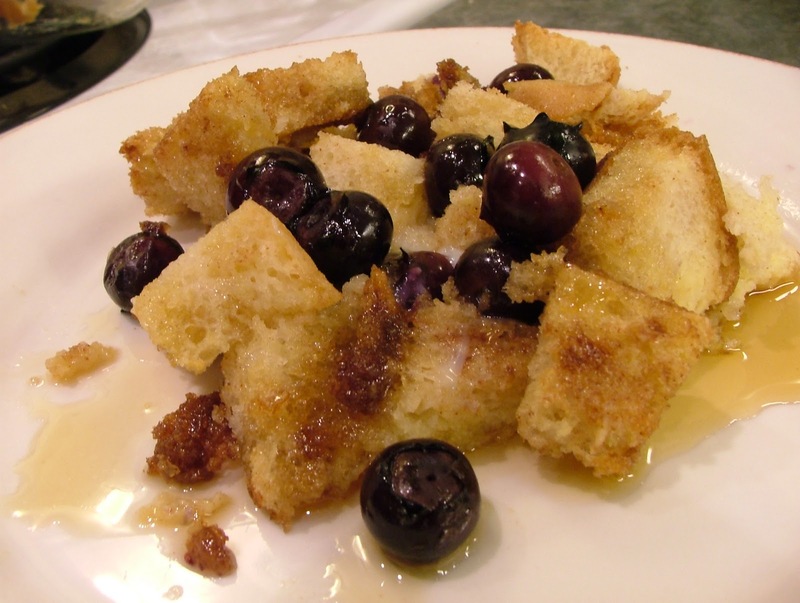 The Cook-a-Palooza Experience: Blueberry French Toast Casserole for the Holidays! 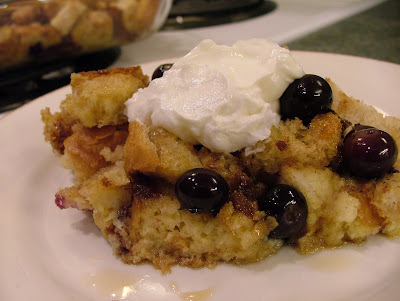 Blueberry French Toast Casserole for the Holidays! As you may already know from reading this blog, I have a place near and dear to my heart (and stomach) for breakfast. Over the holidays I can’t think of anything better than having breakfast aromas fill the house in the morning! I'm not a high energy morning person, so when I do prepare breakfast that involves more than pouring cereal into a bowl, I lean towards recipes that require little use of my half asleep brain. That’s half the reason why I was drawn to this French Toast Casserole recipe. It doesn't require much alertness in the morning because you prepare it the night before. In the morning, you just place it in the oven. The original recipe came from my wife's friend (who I hope doesn't mind me sharing it). She made it for a party and my wife raved about how good it was! That's the other half of the reason why I was drawn to it (if you're keeping track). 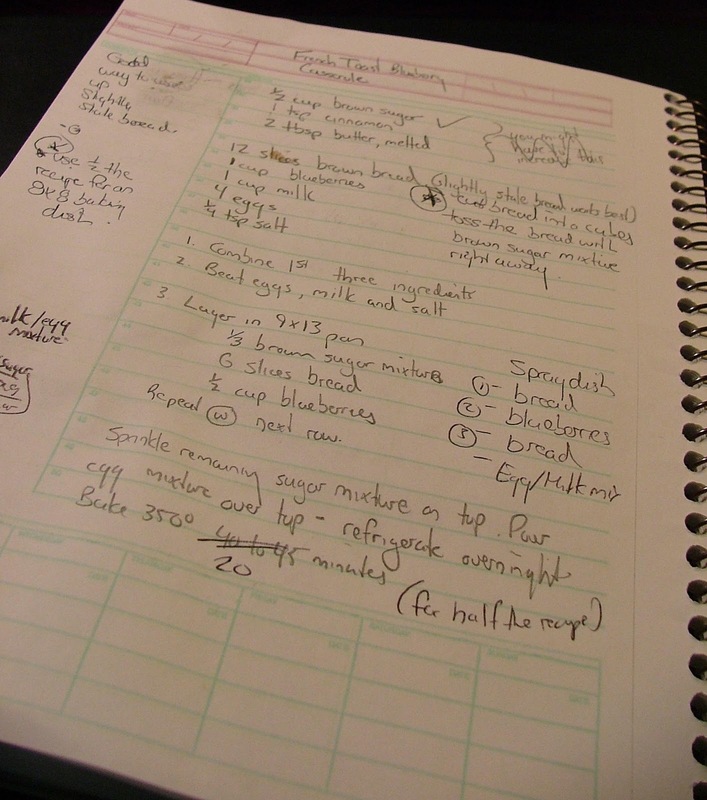 I wanted to prepare this recipe in a smaller dish than the original recipe called for, so I made some notes in my recipe notebook. I ended up baking it in an 8x8 baking dish instead of the larger 9x13 dish. If you're planning to make this casserole for a larger group (that’s what I’ll be doing on New Year’s morning), use the 9x13 dish and double the recipe provided below. 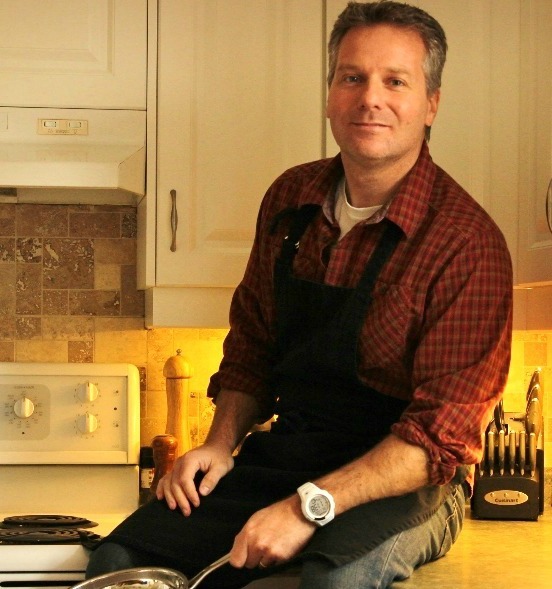 Also if you're using the larger size dish, it's not necessary to cube the bread, you can use full slices. It’s excellent topped with Greek yogurt (I’m addicted to this stuff ever since I learned how to make it at home) and maple syrup. It’s sort of sweet on its own so you may want to consider going easy on the syrup. I don’t think I’ll have a chance to post again over the holidays so I want to wish you a VERY HAPPY HOLIDAY SEASON! 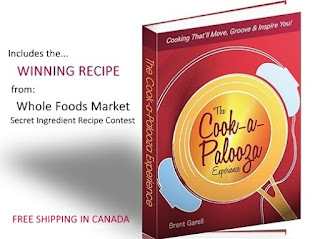 Thank you so much for being part of Cook-a-Palooza in 2011! I’ve been jotting down recipe ideas in my notebook for the New Year so I hope you'll swing by again in 2012 to check them out, share your comments and give em a try! In a large bowl combine sugar, cinnamon and butter. Add bread cubes and toss to coat. In a medium bowl, whisk together milk, eggs and salt. Spray an 8x8 baking dish with cooking spray. Add half the bread cubes and spread across the bottom of dish. Top with blueberries. Cover blueberries with remaining bread cubes. Pour milk mixture over top. Cover and refrigerate overnight. Bake in a 350F oven for 20 minutes. I'm just now catching up on all of my favorite website reading. And Hello Casserole! This recipe looks terrific. I cannot wait to try it. Btw, I love your recipe notebook. I'm glad that someone else still organizes with paper and pen.